While general anesthesia is used most often for surgery, there are some surgeries that can be done with, or supplemented with, regional anesthesia. As an anesthesiologist, having the option to use nerve blocks in certain surgeries is very helpful, but requires vigilance and proper training and experience. Regional anesthesia refers to numbing a region of the body, rather than the whole body by inducing unconsciousness with general anesthesia. Regional anesthesia includes peripheral nerve blocks and neuraxial anesthesia. A special type of block called an IV (intravenous) regional anesthetic may also be included in this category. This is traditionally called a Bier block and is mostly used for upper extremity procedures lasting less than one hour. Neuraxial anesthesia refers to spinal and epidural blocks that numb the lower half (or a bit more) of the body. Peripheral nerve blocks numb an area of the body supplied by a nerve or group of nerves. Bier blocks (IV regional) involve the use of a tourniquet applied to an arm after the blood has been squeezed and drained from it. Local anesthetic is placed into a vein in the hand, and the arm is anesthetized until the tourniquet is released or the anesthetic is metabolized. The decision to use or not use regional vs. other types of anesthesia must be decided on a case-by-case basis. There are many factors influencing the decision that need to be discussed with your anesthesiologist and surgeon. This article is not meant to suggest that these techniques can or should be used in any particular case. When Is Regional Anesthesia Used? Regional anesthesia can be used, obviously, only when the surgery is contained within an area that is amenable to numbing. Some lower abdominal surgeries can be done with epidurals and spinals. The most common surgery done with neuraxial regional anesthesia is cesarean section. Other times, special circumstances may lead to the use of spinals or epidurals for abdominal surgeries. Peripheral nerve blocks also provide regional anesthesia. A nerve or bundle of nerves can be anesthetized to numb the area of the body that they supply. Examples of peripheral nerve blocks include interscalene blocks, often used for shoulder surgery and femoral nerve blocks, which are helpful for knee replacement and other knee surgery. When Can't Regional Anesthesia Be Used? There are many times that regional anesthesia cannot be used. These limitations may be related to the patient, surgeon, surgery type or anesthesiologist. Regional anesthesia requires cooperation from the patient. If a patient is unable or unwilling to maintain a proper position for placement of regional anesthesia, then it cannot be safely done. Because regional anesthesia for surgery means that unconsciousness with general anesthesia is not needed, the patient will be awake, or only partially sedated. Anyone who cannot comfortably (physically or mentally) lie on the operating bed in a specified position for the length of the surgery is not a good candidate for regional anesthesia. Regional anesthesia is administered by injection. Anytime a needle is used, there is a risk of bleeding. Patients who take blood thinners or have disease that limits normal clotting should not usually have regional anesthesia, except in very special cases. Likewise, infection can be spread by needles. A patient who has an infection near the injection site, or in the blood stream should not get a regional anesthetic. Finally, any patient who does not want a nerve block or neuraxial anesthesia is always able to refuse. Some surgeons are not comfortable doing surgery on a patient who is awake and just numb in a region of their body. Patients can often still move the rest of their body and even a little movement can make the surgery more difficult. Likewise, some anesthesiologists are not as skilled or comfortable doing regional anesthesia as others. Experience is a factor in the success of blocks, so this is an important considerations. If you are not offered a regional anesthetic, the truth is that the doctor may not be comfortable providing the type you need. 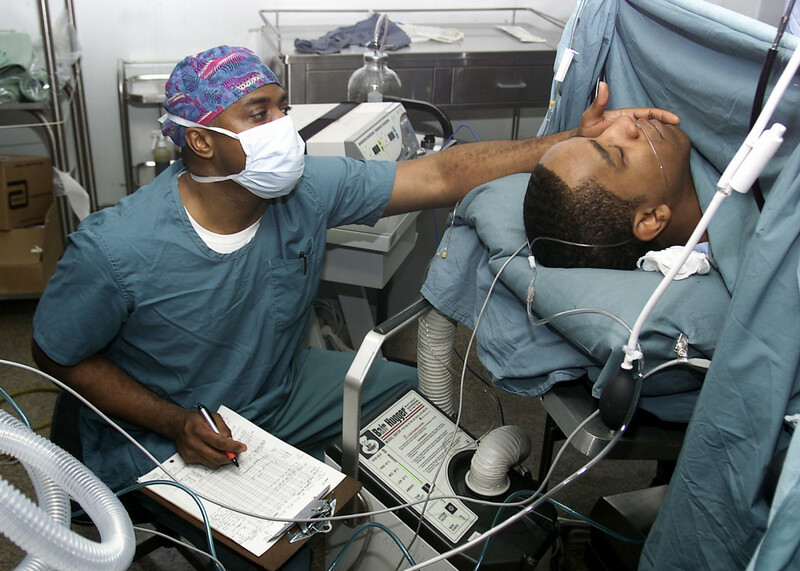 Not all surgical sites can be covered by regional anesthetics, at least not practically. Lower abdominal or pelvic surgery can be done under spinal or epidural anesthesia. BUT, if the surgery is being done by a laparoscopic technique, then this usually isn't possible or desirable. First, the abdomen is inflated with gas to create a dome in which the surgeon can work. This insufflation of gas causes pain above the area that can be safely covered by the regional anesthesia. Also, the gas makes it harder to breathe adequately, as can spinal or epidural anesthesia. This combination makes a general anesthesia a better choice since breathing can be assisted and unconsciousness removes the discomfort. Regional anesthetics are not good for surgeries lasting longer than a couple hours. 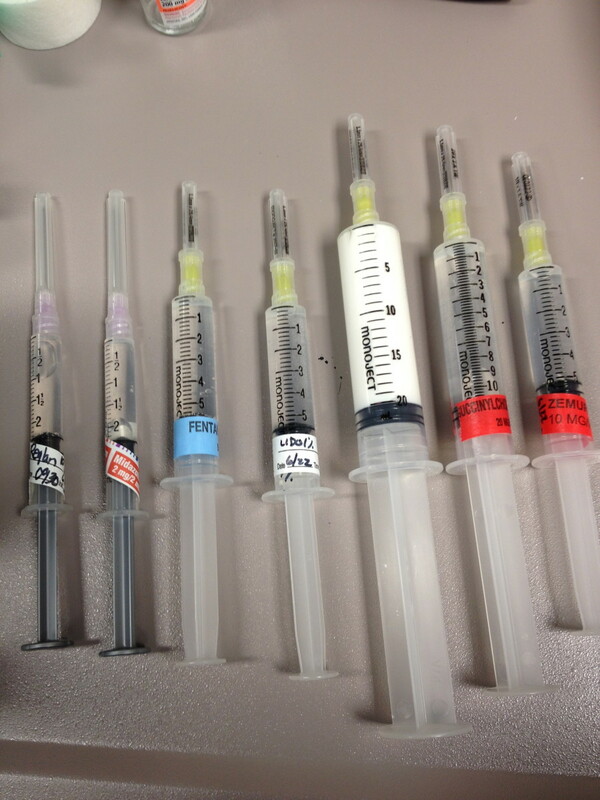 Blocks that are done by single injection may not last long enough. 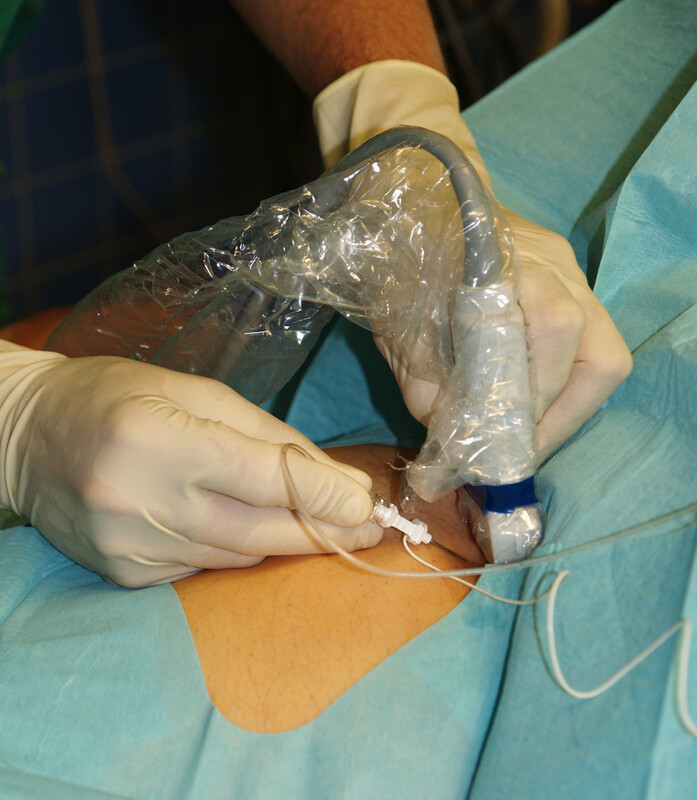 Even when techniques are used (such as placing catheters) to allow for repeated or continuous drug administration, it is difficult for patients to be comfortable, even when sedated, for that period of time. Have you ever had a spinal or epidural? As mentioned, spinal blocks and epidurals are often included in the regional anesthesia category. They are their own special category referred to as "neuraxial anesthesia" as described above. 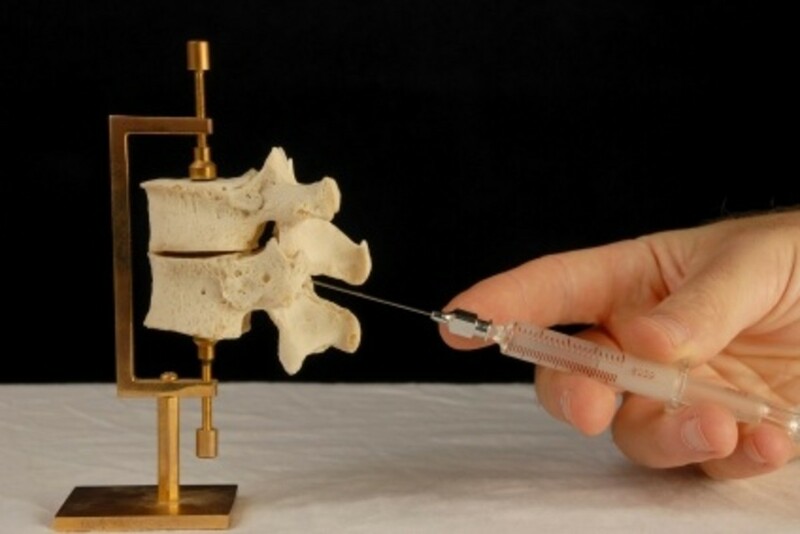 Neuraxial means that the numbing medicine is placed close to the axis of the spinal cord. For a spinal anesthesia, the numbing medicine is placed directly into the cerebrospinal fluid (CSF, spinal fluid). This results in numbing of approximately the lower half of the body, or from the level of the breast bone down, in some surgeries. Very little medicine is needed and the block is usually very dense, preventing both movement of the lower extremities and sensation below the desired area. Epidurals are different, but similar. 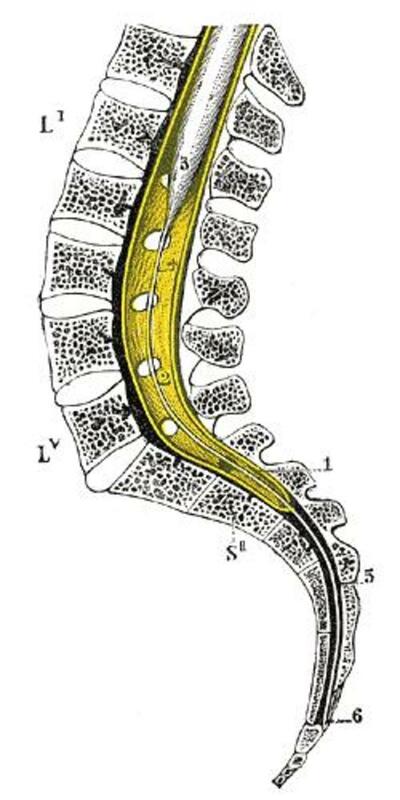 The epidural space is outside the lining covering the spinal cord and CSF. It is a very thin space where the nerves exit the lining over the cord. More medicine is needed to get the anesthetic to spread and penetrate the coverings of the nerves. Often, a catheter is placed in the epidural space so that the medicine can be adjusted as needed. A larger needle is used so that a catheter (thin tube) can be threaded through it and left behind as the needle is removed. 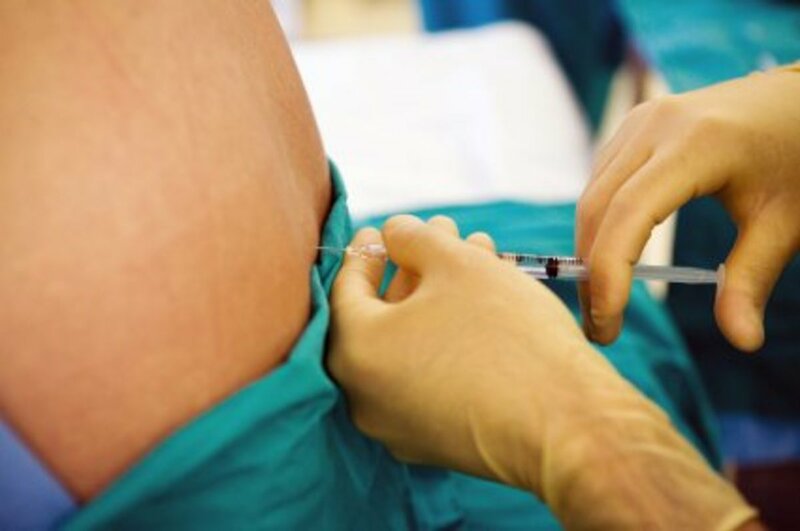 Epidurals are technically more difficult and may have a higher risk profile. The most common nerve blocks (in my practice, at least) are femoral nerve blocks and interscalene nerve blocks. Femoral nerve blocks are used for thigh (front) and knee surgery, most often knee replacement and ACL surgery. Medicine is injected at the point where the femoral nerve enters the upper leg near the groin, rather than at the knee itself. By injecting at this point distant from the site to be numbed, more of the nerve distribution to the knee is covered. As the nerve goes down the leg, it divides into branches, which would make several injections necessary to provide the same block. At the top of the leg, the nerve is still gathered into a bundle, so injection there provides more complete numbing. Thus, a region of the body is numbed by an injection into the area around a large peripheral nerve or nerve bundle. Interscalene blocks are useful for shoulder surgery. Like femoral nerve blocks, they are usually used in conjunction with general anesthesia, rather than by themselves. They are most useful to decrease the amount of general anesthesia needed and to provide pain relief for the first six to 18 hours after surgery. The site of injection is in the side of the neck. This is where a structure called the "brachial plexus" is most accessible and bundled to allow a single injection for numbing the desired area. The brachial plexus, a complex collection of nerves, goes on to divide into nerves that supply the shoulder and upper arm. Axillary blocks can be used for surgery on the lower arm. The injection is into the armpit and is useful for surgeries like AV fistula placement in the forearm for dialysis. Other nerve blocks (at least for me) are used less often. Ankle blocks are useful for foot surgery and are often employed to clean out foot wounds for diabetic patients who have infections on the toes or foot. There are peripheral nerve blocks and regional anesthesia techniques for many areas of the body and so these are just a few examples. Bier blocks are usually used on the upper extremity, but have been used in the legs as well. They are useful for surgery on the hand or lower arm that lasts less than about one hour. The extremity to be anesthetized has a small intravenous line placed in the hand. The arm is raised and an elasticized wrap is tightly wound around the extremity to drain all the blood from the arm. A tourniquet to occlude the now compressed blood vessels is inflated in the upper arm (a double tourniquet can be used, as well, to improve safety and patient comfort). Once there is confirmation that there is no circulation to or from the extremity, local anesthesia is injected into the IV that had been placed. It is important to prevent complications by ensuring that the local anesthetic doesn't leave the arm and enter the circulation. 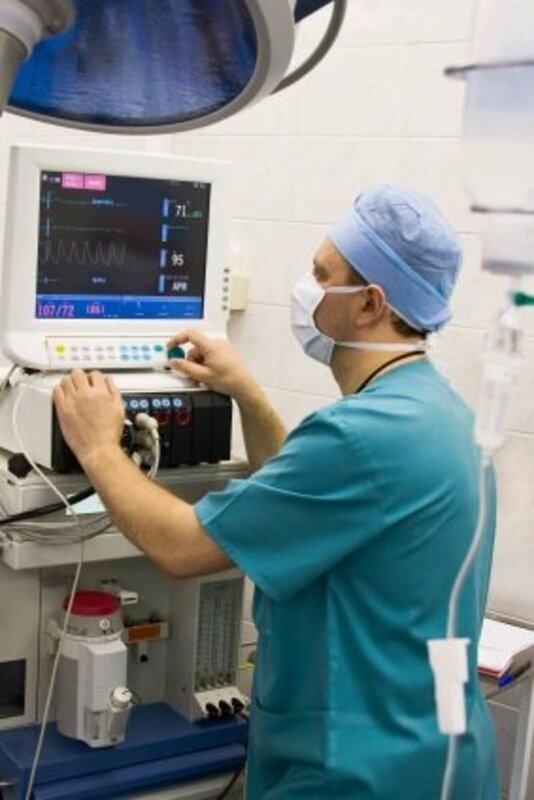 Full monitoring of vital signs and communication with the patient about abnormal signs or symptoms of local anesthesia toxicity are necessary to ensure safety, as well. The local anesthetic numbs the hand and arm. The surgery can be completed during the duration of action of the anesthetic and as long as the patient can tolerate the tourniquet on the upper arm. The tourniquet can be released after about 30 minutes, but many of us think it is safer to leave it inflated as long as is tolerated. Have you ever had a peripheral nerve block? Anesthesia Awareness: What If I Am Awake During Surgery? I'm not sure how much I want to be awake during surgery! I have had blocks that numbed the area, and then I was given enough of a sedative to keep me from caring what happened. But I don't like the idea of hearing all the sound effects - especially if one of them is someone saying, "Oops!" (Just kidding!). As always, this is such an outstanding hub - you pack so many terrific details into your hubs! Voted up and up!!! Oh you bet...I'm hooked now. Gonna take me forever to read all the posts you've written! I really wish there was more information out there like this, aimed at educating the patient but coming from the physician, rather than google. Not to diminish the value of the internet, but this is just a different caliber of information. So often as the patient you would think you would be more informed going into things, but you really aren't and in reality should be. Not a matter of pointing fingers. I know lots of people who are patients and just assume to not be informed. But for those of us who would like to be, there should be reliable sources of information available, such as this, in which to gather the necessary knowledge you're going to need to be successful as the patient or caregiver. I know of several people that I am going to forward a couple of your posts to. No soap box I promise, in a round-a-bout way I guess that's a big compliment to you! It really does matter. It's obvious people are reading and there is a huge need for this. Not for self-diagnosis but for self-education. Hooray for recognizing that and spear-heading what appears to be first venture...Thanks again, I'll def keep reading. Glad you liked your block (mostly!). I actually have a whole hub about interscalene blocks and talk about the feeling of not being able to breathe. It happens more, I think, than most anesthesiologists realize (not reported as often as they occur and not everything the surgeons hear about is passed on to us). So thanks for the feedback on the hub AND the block! Great post. I also had an interscalene block for shoulder surgery. Took a lot of pre-meds to stop the fidgeting in order to get it in due to the nervousness, but it was glorious after the surgery (at least until it was gone!). My only issue was I had a little panic after the surgery bc I felt like I had a hard time breathing. I just felt like no matter what I did I couldn't take in normal breaths. Otherwise would totally do it again and thanks for the informative posts! I should also have told you that the hub I have on interscalene blocks mentions the possible side effects, so I didn't repeat them in this one. I didn't go into the complicated anatomy of the innervation of the head and neck, but it is sort of explained as a side effect. You are correct. The difficulty swallowing wore off when the block wore off, and yes, I quickly learned to control the swallowing by concentrating on it. It is possible that nothing went wrong. Along with hoarseness, difficulty or awkward swallowing can be a side effect of interscalene block. This is usually overcome by paying attention to the swallow action, if that makes sense - being aware of it and consciously controlling the swallowing. Less than 10% of patients experience this and it only lasts for the duration of the block. Alternatively, it is possible that during shoulder surgery, the nerves of the head and neck (including those that help coordinate swallowing) get stretched as your arm is put in traction for the surgery. There are case reports of nerve injury occurring in this way, or from pressure from the breathing tube, combined with the altered position of he head and neck. If the swallowing lasted more than a few days, it more likely was a stretch injury to the nerves that help control the swallowing mechanism. This is rare, but reported to occur and shoulder surgery is one of the situations where it has presumably occurred. As best I could find, no patients had permanent damage sustained in this way. Hope you are all better, and thanks for the question! I had a shoulder surgery for a torn labrum. My wife, a labor and delivery RN, knew the anesthesiologist, and they both recommended an interscalene block (I had a previous surgery on the other shoulder for a torn rotator cuff, and just used pain meds.). It worked great for the shoulder pain, but I had a terrible time trying to swallow and felt like I was choking. What went wrong?